You want to earn reviews on a variety of sites. Some customers may need instructions. You want to be ethical. 3. Any site is great. But if you truly have no preference, we always like reviews on [Site A] or [Site B]. 4. We appreciate detail. Please write about whatever parts of your experience with us you’d like to write about. But if you just don’t know where to start, maybe mention the specific service we provided, what problem caused you to come our way in the first place, and what you thought of our customer-service. 5. We want your honest opinion. 6. We’d love to know how we can do a better job. 7. Here are some instructions, in case they help. Of course, please let us know if you still have questions. 8. It’s fine if you’d rather not use your full name or real name. Even on Google+. 9. It’s OK to name names, if one of our people was especially helpful. In fact, we’d appreciate it. 10. It’s great if you feel like reviewing us on more than one site, if you’re just as happy as a clam. 12. You can always edit your review later. This is the only good, ethical way to encourage keywords – which may help your rankings, and which on Google+ influence your business’s review snippets. You can provide printed instructions or instructions in an email, or both. Try my instructions, or create your own. You might also weave in a “reviews page” on your site. Experiment. I’m not saying you should rattle off that long list to all your customers. That may overwhelm them. Just get a sense of what they probably know already, and then find a way to impart the rest. That’s a lot to absorb for you, too. But you’ve got to try. Being 100% clear about what you’re looking for and not looking for is the only way to encourage reviewers and good reviews without being pushy. By the way, I suggest you also read this excellent old post by Mike Blumenthal. It will help you internalize the points I mentioned. That is the goal here. You don’t want to over-explain yourself to customers, but you do want to address their concerns proactively or as they come up in different situations. Any points you’d add? What do you tell your customers? Leave a comment! 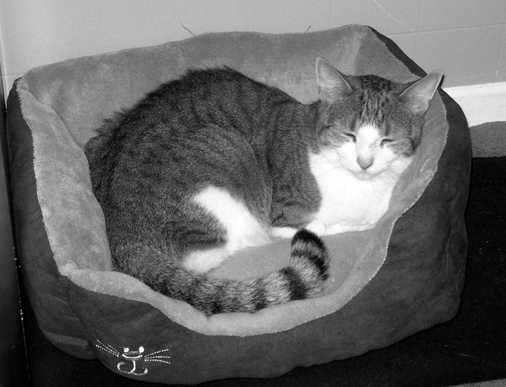 Peanut (our cat) – the nap expert at work. Putting your business’s NAP info – name, address, phone – on your site is a basic step you take if you want to rank well in the local results. It’s also common sense if you’re trying to attract local customers. Still, I get questions all the time – questions about all the details. I’m hoping to answer them all in one breath. 1. Must be crawlable text – that is, “readable” by Google and other search engines. That means it’s not OK to have it only as an image (for instance). My rule of thumb is if you can copy and paste it, it’s readable by the search engines. 3. Doesn’t have to be in Schema or in hCard, although there’s no reason not to mark up your NAP info that way. Still, plain old HTML is fine. 5. The NAP info can go pretty much anywhere on your pages / in your code. If you’re using WordPress or a similar platform, it can go in footer.php (my favorite), or in a sidebar widget. It can go in the table your content is in, or in the footer area. I wouldn’t suggest adding it to your title or description tags, though – usually a waste of space. 6. Don’t include links to pages on your website – unless doing so helps usability, like if you have a “Our Locations” page where you list all your locations. 7. If you have multiple locations, you can have all your NAPs on each page, or you can have just the NAP for Location A on the page for Location A, and so on. I’ve never seen problems with using NAPs on the same landing page or site-wide. 8. You can have the same NAP blob appear more than once on the page. I wouldn’t have it appear 8 times on a page. But 2 or even 3 times, sure. 9. It’s OK to style it with CSS, or to have it on one line. 10. If you run a home-based business and are extra-concerned about privacy, just leave off the street address – if you feel you must. But you should still include your business name, city, ZIP, and phone number. Any questions about NAP? Tips? Leave a comment! Some of your customers, clients, or patients might only review you if they don’t have to reveal their names in the review. Why? They might be embarrassed about the problem that caused them to come to you. They might need privacy to give you honest and complete feedback. Maybe they just wear tin-foil hats. (1) So you know where to point would-be reviewers who are concerned about privacy. You still want reviews from those people. (2) So you can encourage reviews without running afoul of any regulations in your industry – especially if you’re a doctor or lawyer. (3) So you know where to look for negative reviews that people may have posted anonymously. Besides finicky Google+ and Yelp, most review sites offer some anonymity. Possible reviewers need to know you don’t want “Google or Yelp or nothing.” You want reviews on other sites anyway – especially if they’re influential in your industry. My goal for this was to mention least one private / anonymous site that you can encourage reviews on, no matter what your industry is. That’s why I have some sites that may seem “niche” – like WeddingWire and Zillow. WeddingWire isn’t just for dressmakers and cake-bakers; you can also be listed and get reviews there if you’re a photographer, jeweler, florist, or DJ. Likewise, Zillow isn’t just for real-estate agents; you can get reviews there if you’re a roofer or landscaper (for example). I didn’t want to dwell on one industry. That’s why you won’t see more than a couple examples of private / anonymous sites for a given industry. Even if there’s not a review site that’s specific to your field, you’ve still got Angie’s List, CitySearch, InsiderPages, Yahoo, and YP. It’s good to get a smattering of reviews at those places anyway. When I say a “real name” is required, I’m referring only to the rules / preferences of a given site. It may have no way to tell a reviewer’s real name from an alias. I doubt Sarah B. would get in any hot water if she created an account as or wrote a review as Penny O. Make sure your customers know that. This list is US-specific. I’m guessing the equivalent of YellowPages in other countries – YellowPages.ca, PagesJaunes.fr, PaginasAmarillas.com, etc. 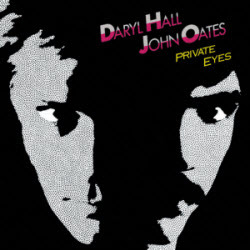 – allow private reviews. I’d be curious to learn about other sites. Last but not least, huge thanks to design whiz David Deering for putting together the “Top Secret” report. I suggest you check out his offerings. What’s a private / anonymous review site you think you’ll be working into your review strategy from now on? Not sure which ones are worth pursuing? 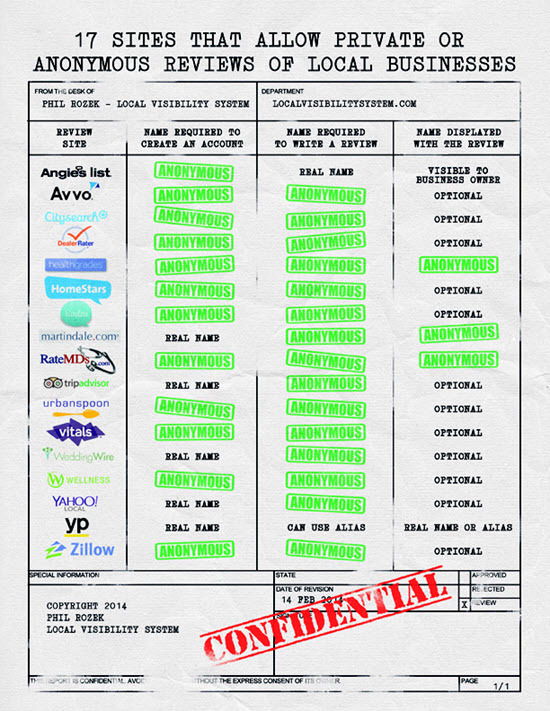 Private Local Citations: Where Can You List Your Business But “Hide” Your Address? Update: here’s an excellent, more-current list by Whitespark. That’s because this is an unofficial “sequel” (for good reason, as you’ll see). How about taking a few minutes to read that older post. Then come back here. 1. 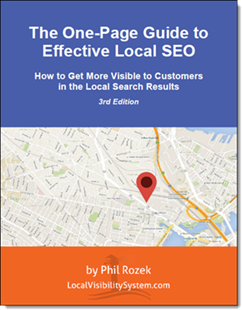 Some business owners want to rank well in Google’s local search results and beyond, but don’t want their street addresses to be easily findable online (most likely because they work from home). Maybe you have these privacy concerns, or know someone who does. 2. Unless your business is listed on a variety of online directories (AKA citation sources), you probably won’t rank well in the local search results. But you don’t want your address to be easily findable on those sites. Now you’re feeling stuck. 3. Turns out you’ll probably be able to rank well locally after all, because most of the important online directories actually do allow you to “hide” your street address – that is, to keep your address from showing up publicly on your business listing. On the last point, notice that I said “most” of the important directories let you hide your street address. In that older post I did on “private citations,” I only looked at the sites that you see when you do a free GetListed.org scan of your business. At the time, those totaled 12 sites. A great start, sure. But an effective citation-building effort – again, which is crucial to your rankings – takes more than listing your business on even those 12 sites. That’s why I’ve looked at more sites and have learned even more about where privacy fits into local search. I’ve looked at a total of 31 of the most-important sites for your business to be listed on, and I’ve seen which sites let you keep your address private. AngiesList.com: yes. There is not a checkbox for this; the “address” field is optional, so you can simply choose not to specify your street address. BrownBook.net: yes. The “address” field is optional; simply choose not to specify your street address. CitySquares.com: yes. The “address” field is optional; simply choose not to specify your street address. DexKnows.com: maybe. If you’ve hidden your address on LocalEze and suppressed your ExpressUpdateUSA listing, your address most likely won’t show up on DexKnows. EZLocal.com: yes. The “address” field is optional; simply choose not to specify your street address. iBegin.com: yes. The “address” field is optional; simply choose not to specify your street address. JudysBook.com: maybe. If you pay the monthly fee to claim your listing, you may be able to leave off your street address. The other way to get your business listed on JudysBook is for a customer to find the hidden “submit” area and then to post a review of your business, although in this option the street address is required. Kudzu.com: yes. The “address” field is optional; simply choose not to specify your street address. Manta.com: yes. On one screen you’re made to provide a street address, but on the next screen you can check a “hide address” box. MerchantCircle.com: yes. The “address” field is optional; simply choose not to specify your street address. MyBusinessListingManager.com: yes. AKA Acxiom, this is a major “data-provider. Nokia (here.com/primeplaces): yes. You have to specify your street, but you don’t have to specify your number. YellowBook.com: maybe. You can only edit the address by calling 1-800-929-3556; they may allow you to hide the address if you ask. Takeaway 1. The biggest directories (e.g. Yelp, YP) usually let you hide your address. If you do nothing else, make sure you’re listed on these. Takeaway 2. The smaller directories (e.g. BizWiki, DirectoryCentral) aren’t as likely to let you hide your address. Whether you want to add or keep a listing on these sites depends on which you’d rather have: a little extra “citations juice” or a little extra privacy. Arguably a good citation-building campaign involves your creating and managing even more than 31 listings. So does my list only get you only partway down the road? 1. Several of those 31 sites feed business info to other sites, which means that over time the number of citations your business has will grow naturally and without your needing to do anything. Meanwhile, to the extent you’ve made sure your address isn’t listed on those sites, it won’t get spread all over the web. Win-win. 2. 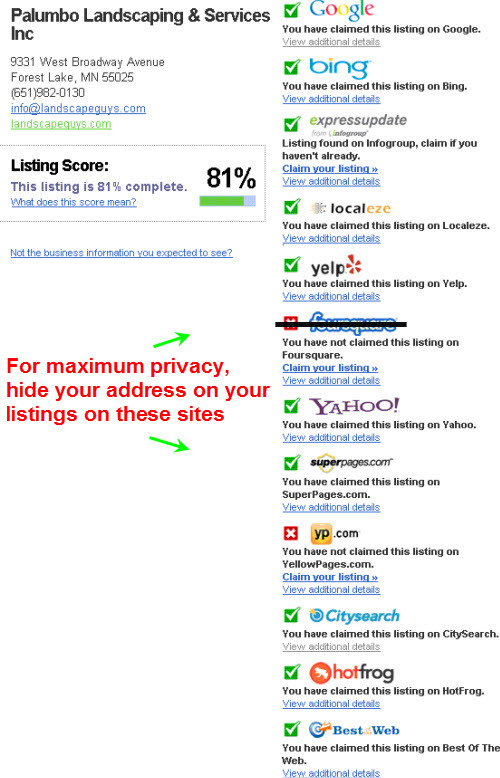 If those 31 sites are the only ones you’ve listed your business on, then you’ve got a very good citations profile. But to take it from “very good” to excellent will probably involve digging deeper (probably with the Local Citation Finder) to find citations that Google places extra “trust” in: either directories that are specific to your industry, or specific to your city/region, or both. Because there’s an infinity of these industry- and location-specific sites, I’ll never be able to research which ones are “private” – at least before I’m using dentures and a walker. So I’ll leave it up to you: whether you’d rather be listed on “niche” sites that may or may not require you to list your address. Still, I want to learn about the privacy levels of even more sites. That’s why this is an evergreen post: I’m going to update it as I learn about more sites. One obvious limitation of my current list is that I haven’t researched all that many non-US sites. True: some of the sites (like Manta.com) are available outside the USA, or have a network of “sister” sites (like YP.com) in other countries. And yes, if you download the list, you’ll notice that I’ve indicated which sites are “international.” That should help you if you’re located outside the US. But…if you have some time to spare and want to go through Nyagoslav Zhekov’s two great posts on important non-US citation sources and want to let me know what you find, I’d more than appreciate it (and will cite you here :)). Got any questions or suggestions about juggling local rankings and privacy? Go ahead – leave a comment. Can You Rank Well in Local Google without Revealing Your Street Address Anywhere? If you run your business from home and don’t want your address to be visible in Google, on your site, or on third-party sites…then yes, you should still be able to rank just fine in the Google+Local search results. But balancing local visibility and privacy takes a little finesse. I’ve written this post to show you how to pull it off. I work from home. I like and trust my clients and I always travel TO them for each job, but I want to keep my family’s home address private. Can I still rank OK in local Google? What I told Frank was that, yes, he can (and should) hide his address from showing up on his Google Places (now known as Google+Local) page, and that, no, he doesn’t need to have his street address on his website. I told him that’s a good start, because most of the people who will ever become clients will have found him through either his Google+Local page or his site – and therefore wouldn’t have occasion to see his address if it’s not listed on either of those places. But there’s a rub: I told Frank that a HUGE factor in ranking well in local Google is being listed accurately on third-party sites. That is, on sites like Yelp, CitySearch, SuperPages, etc., plus the two major “data-providers,” ExpressUpdateUSA.com and LocalEze.com (which feed other sites across the web). What I didn’t know was the extent to which you can choose to hide your address from these third-party sites. Sure, you still need to optimize your Google listing and website and probably drum up some reviews, and even then there’s no guarantee you’ll outrank anyone. But if you can at least list your business on the major third-party sites, you’ll probably be in good shape in terms of rankings. Therefore, if privacy is a concern of yours, your challenge is: can you list your business on all the important third-party sites you need to list it on without revealing your address on those sites? I recently found that the answer is yes: with a little work you should be able to keep your address off of these sites, and so you should be able to rank well locally. Which sites to focus on? I’ve found that the sites you see when you do a GetListed scan are the biggest determinants of how well you’ll rank. Being listed on them is no guarantee you’ll rank well, but if you’re not on them you’re far less likely to rank well locally in Google. They’re also important because some of them get a lot of “eyeballs” in their own right – eyeballs you may not want your street address in front of if you’re concerned about privacy. Not all of these sites matter much to your rankings in local Google. As you probably know, Yahoo and Bing are Google’s competitors (albeit very small in comparison). Your local listings there simply don’t affect your Google rankings. But because some people use Yahoo and Bing instead of Google, it’s very much worth having your business listed on those sites. Which also means it’s worth making sure your address doesn’t show if privacy is a concern to you. FourSquare is becoming more important, but it doesn’t seem to affect local rankings at this stage – partly because it doesn’t even accommodate most service-based businesses, but instead mostly caters to eateries and tourist-y destinations. Also, people can’t “check in” to your business on their smartphones if they’re not coming to your location – which they won’t be, if you’re trying not to reveal your address. So for local-rankings purposes you don’t need to worry about FourSquare – and to the extent you want to keep your address a “secret” it’s probably best to avoid it. What do you need to do on these sites? Now that you know which sites to pay attention to, the question becomes: how do you conceal your address on each site? Yes, you can choose to have your address hidden. No, you can’t simply “turn off” the display of your address on your ExpressUpdate listing. But you can search for your listing on the site and request its deletion, OR you can call up Customer Service and ask them to suppress your listing. For ranking purposes it’s ideal to have an ExpressUpdate listing, but many businesses that don’t have listings there still rank well in Google. In any case, the bottom line is if you really want your address as close to 100%-private as possible, you need to “silence” your ExpressUpdate listing, because otherwise it will spread your address to countless other sites across the web. If you happen to be reading this and there’s (finally) an “Add listing” form on CitySearch that gives you the option of hiding your address, great; do so. On most of these sites you’ll need to claim your listing in order to get the address removed. Obviously, you’ll also want to try to get any unnecessary or duplicate listings removed (which is a good practice to follow anyway, by the way). 1. Don’t include your street address on your website. However, make sure to include your business name and phone number as crawlable text on every page of your site. 2. Hide your address from showing up on your Google+Local listing. 3. Go to the other sites I listed and get your address hidden, as I described. 4. To the extent you have the time and inclination, go to other third-party sites and see if/where your address pops up. On sites where you can’t remove the address yourself, just send in a request to have it removed. Which sites should you check? The ones on this list, for starters. I’ve had clients who don’t want their addresses revealed in Google+Local or on their website, but I’ve never had one who wants to keep it so much of a secret that nowhere on the Internet can it be found. In these few cases to date we just hid the address from showing on Google and left it off of the website. The reason is that, until now, I didn’t know whether you even could take it a step further and hide your address from showing on all these other sites. Now we know you can. Still, I’ve never had a client ask me to try to hide his/her address to the degree I just described. Nor have I run across a business “in the wild” where the address truly is “Top Secret” and can’t be discovered with some determined digging. Then again, I don’t imagine most people want it to be absolutely undiscoverable, but simply just don’t want their home addresses to be broadcasted all over the web. I imagine that’s the case with you, too. But if you’re absolutely adamant, check out step #4 (above). Is there a “ceiling” or a “handicap” on how well you can rank if you choose not to display your address anywhere on the web? I dunno. But I do know that as long as you’re able to be listed on the major third-party sites, it’s at least possible to get visible but stay private. What’s been your experience with keeping a business/home address under wraps? How well have you been able to rank? Let me know in a comment!